Montenegro is the modern name for an ancient country with Greek, Venetian and Ottoman roots. UK tourists flocked here in the 70s and 80s: today, Montenegro is drawing visitors with its natural beauty, ancient towns and warm hospitality. Wooded hills rise above indented bays, each with its own medieval town including Herceg Novi, Tivat and the UNESCO World Heritage town of Kotor. Though it may look like a lake, the Bay of Kotor is saltwater, opening into the Adriatic and with countless little bays and beaches to discover. 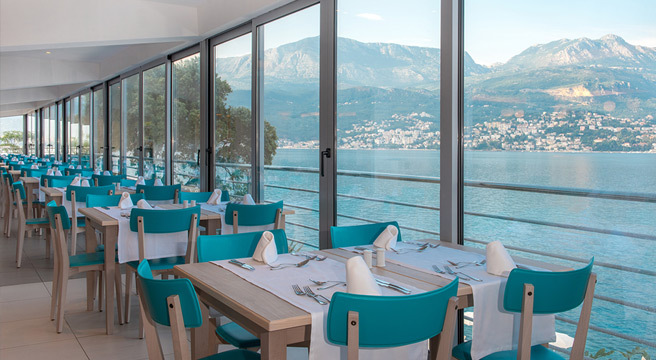 Our resort of Herceg Novi is sometimes called the City of Stairs, as its Old Town descends to the marina by a series of steep stone steps or narrow alleys, so the resort is not recommended for people with mobility issues. Historic Stari Grad, the Old Town, offers plenty to see including the Clock Tower, fortress of Forte Mare and the outdoor theatre of Kanli Kula. Enjoy a coffee in Bella Vista Square, or check out the market held most days in the Pjaca. From the marina, there is a choice of boat trips that make it easy to visit the other towns and tiny islands around the Bay, with opportunities for sightseeing, swimming and sunning. 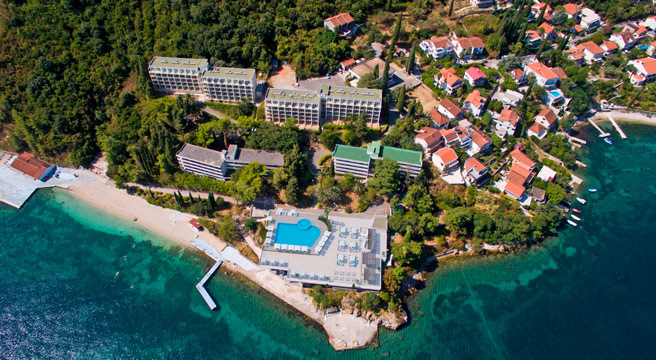 The coastal strip opposite Stari Grad is fast becoming known as the Herceg Novi Riviera, and this is where our hotel is located. The bay is renowned for clear, clean water and small beaches of sand and shingle. This is a superb opportunity to discover a re-emerging holiday destination of great natural beauty, with historic sights on the doorstep. 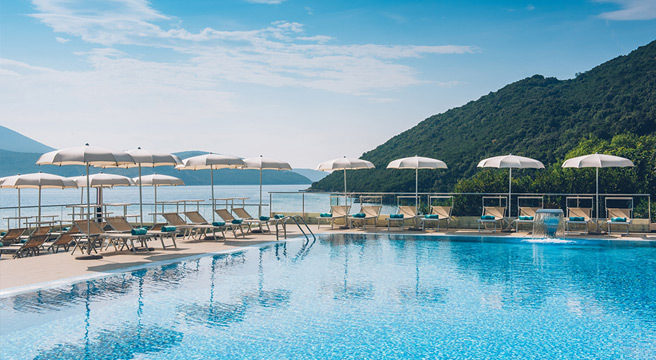 The Iberostar Herceg Novi is set above a shingly beach, with lovely views across the water to the Old Town just 6kms away by road, or 15 minutes by taxi. 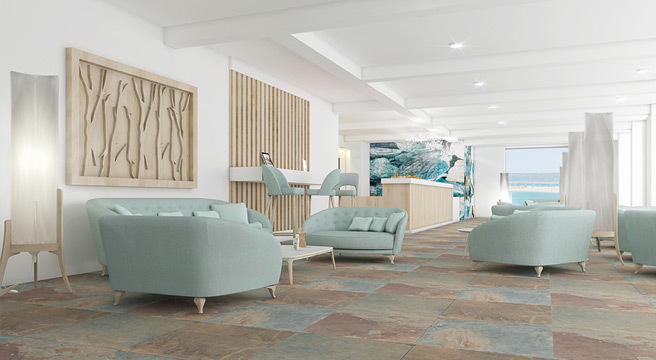 The 183-room hotel was completely refurbished in 2018 to create a contemporary 4-star with a sophisticated coastal style. 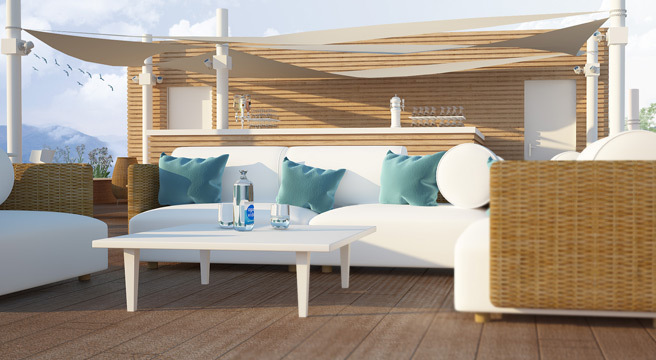 Rooms are set in buildings above the pool terrace, which has fabulous views, plenty of stylish loungers and sun-shades, plus a pool bar. From here a path leads down to a private jetty from which you can swim, and a beach of coarse sand where you may rent a lounger/parasol. 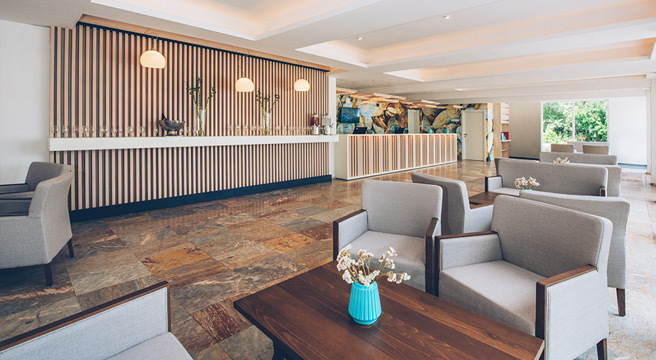 The Lobby Bar is bright and stylish and there’s also the rooftop Kometa bar where you can enjoy a sundowner with a fabulous view. The fitness room has cardio-fitness machines and weights. The small spa (extra charge) has a sauna and offers massages. 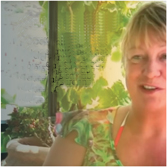 Friendly staff arrange activities such as aerobics, petanque and volleyball by day, with evening entertainment ranging from live music to cabaret. There is free WiFi across the hotel. The All-inclusive plan provides a buffet breakfast, lunch and dinner, all usually presented in the beachside main restaurant. Local wines, beers, spirits and non-alcoholic drinks are included at reasonable hours (at least 12 hours every day) and snacks are available mid-morning and mid-afternoon. Note the hotel’s hillside setting, and the steep streets in local towns require good mobility! 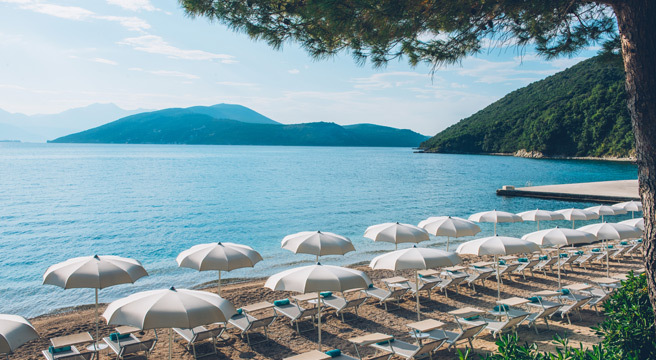 Modern-day Montenegro is tucked between Bosnia-Herzegovina and Albania on the unspoiled Adriatic coast. 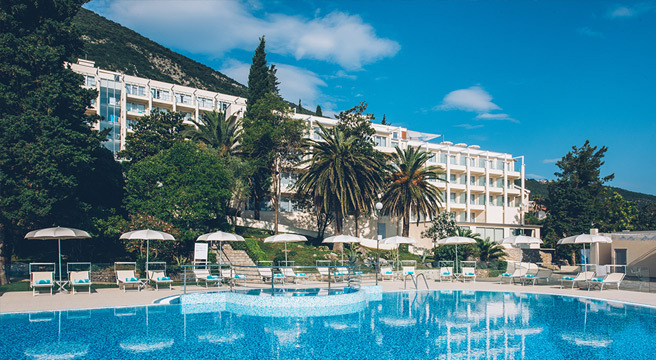 The Bay of Kotor and Herceg Novi is close to the Croatian border: Dubrovnik is only an hour from our resort, and flights are available into either Dubrovnik or into the Bay of Kotor’s own airport at Tivat, approx. 90 minutes by road and ferry. 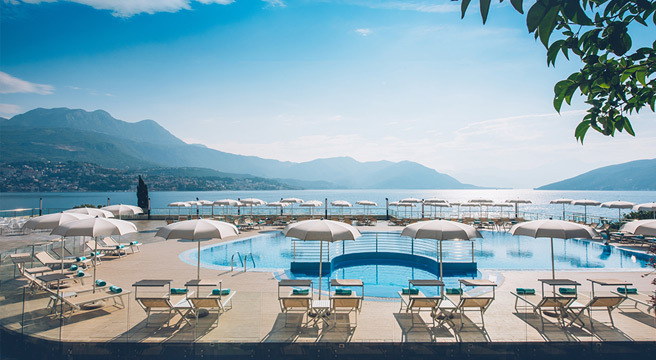 There’s plenty to see and do around the bay, such as take a boat trip to Perast and its tiny island of ‘our lady of the rocks’, the roman mosaics at Risan, or the superyachts in Porto Montenegro, the millionaires’ resort. Trips further afield may include Kotor and the Castle of San Giovanni, or Dubrovnik. There are watersports ranging from kayak hire to windsurfing. Nightlife here is low-key: Herceg Novi is one of the most unspoiled corners of the bay, but a glass of local wine in a Belavista Square bar is a good way to end a sociable evening. Rooms are set on the hillside above the pool area, in separate buildings of no more than 4 floors (served by lift). Our standard rooms have a view of the mountains or gardens, with sea views available at a supplement. All rooms are well-furnished in minimalist style and decorated with relaxing neutrals that reflect the amazing coastal light, with pops of colour from the soft furnishings: mustard and rich purple for instance. 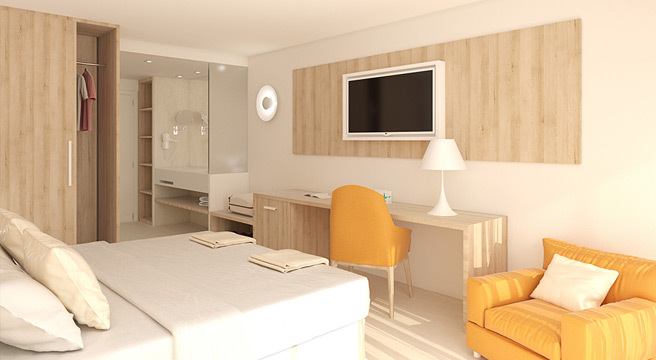 Every room has a double bed, a private balcony or terrace, bath or shower, hair dryer and TV. Room safe and mini-bar also available at extra charge. ATOL-bonded flights from Gatwick. 2 regional flight options: supplements may apply.